CENSE has raised over $110,000 towards our goal as we prepare for crucial hearings on PSE’s “Energize Eastside” project later this year. These funds will pay for expert witnesses and legal representation. Thank you, Eastside neighbors, for your generous support! If you haven’t sent a donation yet, we still have $14,000 of matching funds that will double your donation. When those funds have been fully activated, we will be only $11,000 away from reaching our $150,000 goal. Your donation will help bring this fund drive to a quick end! CENSE continues to recommend batteries as a better solution for the Eastside. PSE can save customers money, save thousands of trees, and reduce carbon emissions by making more effective use of electricity generated by solar and wind. This solution is supported by groups like Sierra Club, 350.org, and Protectors of the Salish Sea. 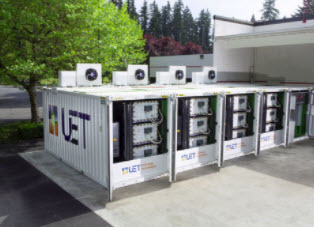 Batteries provide better year-round reliability than a new transmission line, and batteries manufactured by local companies provide jobs for our neighbors and a foundation for Puget Sound’s cleantech economy. It’s the sensible thing to do for the environment and future generations.